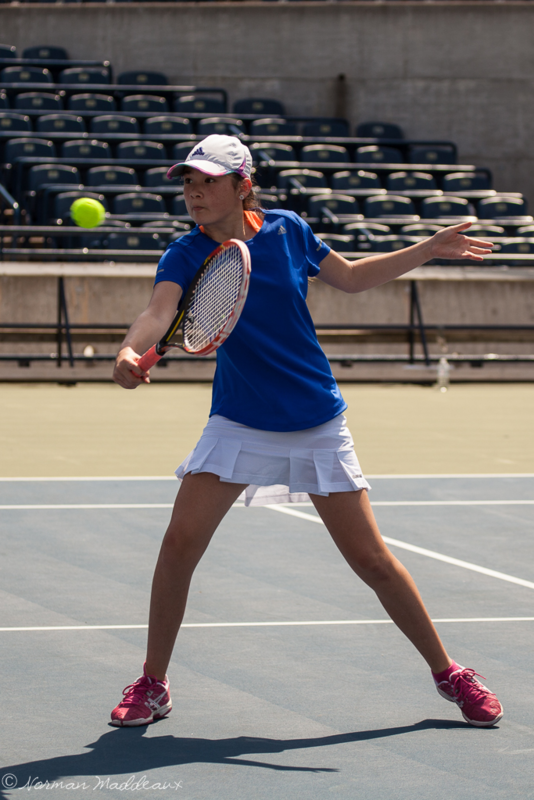 At Don Mills Tennis Club, we use “Progressive Tennis” for all the junior programs. Progressive Tennis allows players to develop skills quickly and this style of tennis coaching results in faster mastery of the sport and more fun along the way. Our certified coaches use the latest Tennis Canada techniques to guide students progressively through each stage and skill-set. For more information about “Progressive Tennis” see the Tennis Canada or International Tennis Federation websites. Junior Program Registration Form (Please complete one per child). A fun-filled class to introduce racquet skills, co-ordination and fundamental skills to children aged 4 to 6. Players use scaled down 19-21 inch racquets (depending on player size) to give better racquet control, plus low-compression red balls and mini nets. This modified equipment helps develop good primary biomechanics. Fun-filled games that train the fundamentals for children aged 7 to 9. This stage uses low-compression orange balls that facilitate tactical development. These balls bounce less than regular balls so they are easier to control. On these courts children use 23-25 inch racquets (depending on player size) giving further age and size appropriate biomechanical development. Fun, exercise and training the fundamental skills of tennis for 9 to 10 year olds. 25-26 inch racquets, low-compression green-dot balls and a full-sized court are used in this class. Continuing basic skill development for kids 10 years and older, using full size racquets (27 inch) and regular balls. For more information, contact our Head Pro, Pavel Lupych at (416) 880-4690 or pavlo.lupych@gmail.com.